The latest addition to leading mining, bulk material handling and minerals processing equipment supplier Takraf Africa (part of the global Takraf Group) suite of crushing and comminution technologies, Takraf Sizer equipment, will be showcased at this year’s Electra Mining, due to take place at the Nasrec Expo Centre in Johannesburg (South Africa) from 10 to 14 September 2018. On display will be the extreme class range of Takraf Sizers. These are machines aimed at handling material typically considered to be outside the application window of a standard sizer due to high levels of hardness and/or abrasiveness and/or large particle size. Boasting a high throughput combined with a compact design, the sizer was developed in-house by Takraf with special focus directed towards important attributes such as ease of maintenance, reduced downtime and long equipment service life. “With the launch of the sizer equipment range, Takraf is now able to integrate its own proprietary crushing machines into a complete mining solution for its clients,” says Richard Späth, general manager – Technologies for Takraf Africa. Takraf’s Primary Sizers are highly versatile machines for the comminution of soft as well as hard and challenging materials. Their low height profile makes them well suited to underground mining applications, yet they are also widely employed across various open pit operations. Long equipment service life is catered for by the use of advanced wear resistant materials such as hard-faced segments and tungsten picks. For increased efficiency, the machine’s robust drivetrain allows start-up under load and provides extremely high torque. The Extreme Class Takraf TCS-X 12.16 machine that will be on display at this year’s Electra Mining is, like all Takraf Sizers, equipped with oversized roll bearings, a split housing and a moving unit. Further features include the customised crushing segment geometry and hard-faced crushing teeth with tungsten carbide overlay. The Takraf Sizer product range offers throughputs up to 12 000t/h for primary applications and 3 500t/h for secondary and tertiary applications. Each sizer is selected and manufactured to fulfil specific project requirements, such as high capacities, low installation heights, high material abrasiveness and optimised tooth arrangement. In addition to the Takraf Sizer product range, the company also offers a wide range of crushing technologies, with a key differentiator being the innovation that has taken place to tailor these products to the evolving needs of the mining sector and its unique local conditions. The recently launched, Takraf Africa-developed, semi-mobile version of the Bradford Breaker, supplied under licence from Terrasource Global in the USA, is particularly suitable for small and junior miners who are increasingly exploiting small remains coal resources. 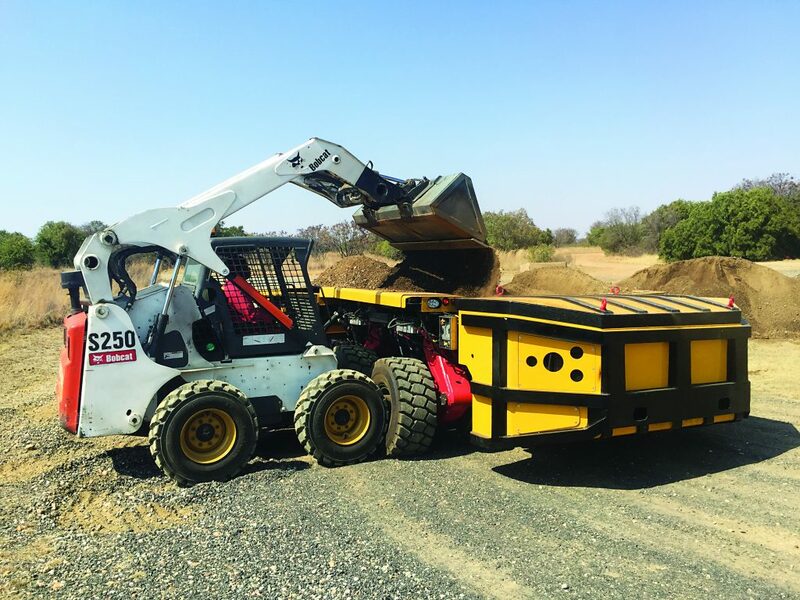 Semi-mobile Bradford Breakers have already been supplied to several of Mpumalanga-based junior miners. Also supplied under licence from Terrasource Global is the coal granulator. In recent orders, three coal granulators were ordered by a major Mpumalanga coal mine to replace a double roll crusher – an increasing trend due to the granulator’s generally superior throughput and better size control. Supporting this range of equipment is Takraf Africa’s in-house minerals laboratory, which is able to conduct material tests across various conditions in order to determine factors such as material crushability and wear behaviour. These are important factors to consider in sizer selection, as well as for the sizing of Bradford Breakers.